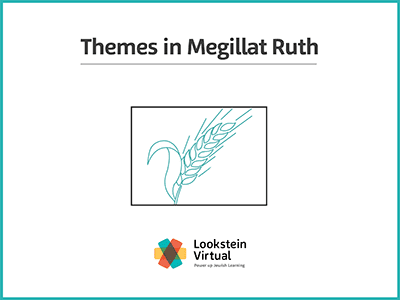 In this course, students will read and analyze Megillat Ruth, learn major plotlines and themes, and build and develop a variety of textual skills. 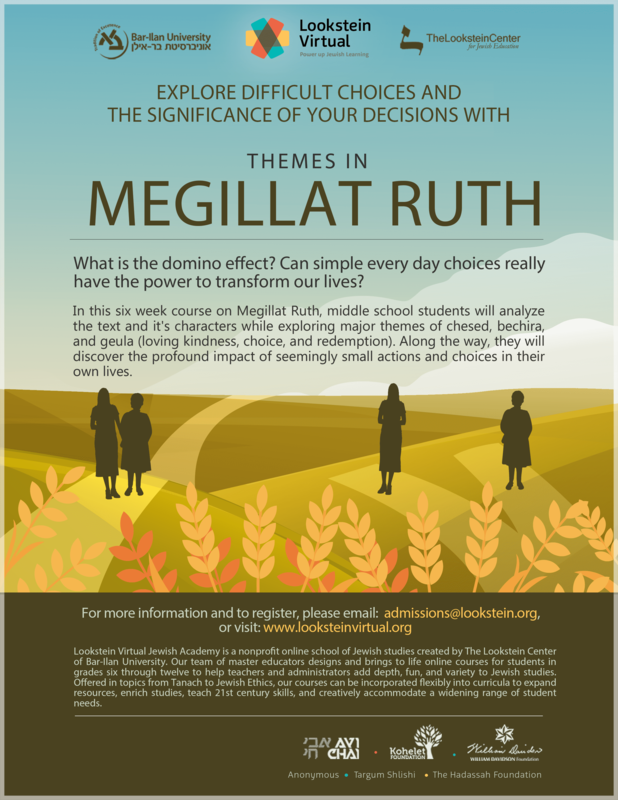 Students will explore the concepts of chesed (loving kindness), personal transformation, and redemption, and discover how decisions they make can impact the quality of their lives. 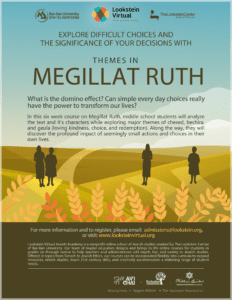 This is a 6-week mini course and can be offered as a stand-alone course or paired with Themes in Megillat Esther.